Though many hated the 2010 remake of Clash Of The Titans, to this reviewer it was an enjoyable romp; it wasn’t anything great but it was entertaining with nice special effects. The sequel Wrath Of The Titans is more of the same, which may or may not be good news depending on where you stand with Clash Of The Titans. 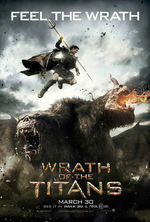 Wrath Of The Titans picks up several years after the first one, Perseus (Sam Worthington) is now living as a simple fisherman in a quaint village with his son Helius (John Bell). Sadly, Io (portrayed in the first film by the beautiful Gemma Arterton) died in between films and is a missed presence. 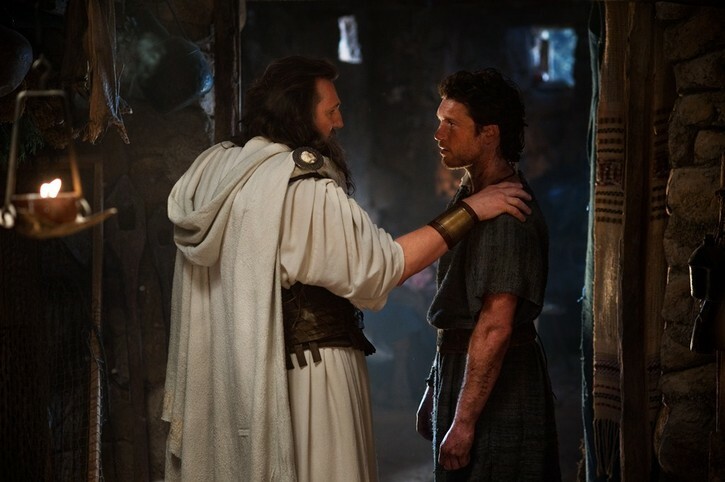 One day the demigod Perseus is visited by his father Zeus (Liam Neeson) who asks for his help. 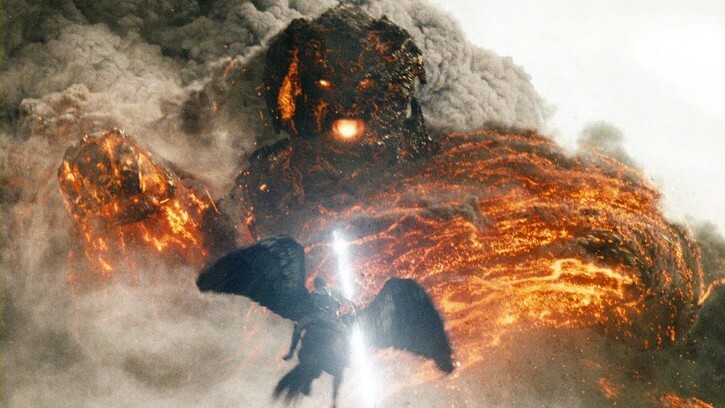 The Greek gods are dying off because people have stopped worshipping them, the remaining gods are now weaker and to remedy this Zeus’ brother Hades (Ralph Fiennes) and Zeus’ son Aries (Edgar Ramirez) want to free the titan Kronos (actually Zeus and Hades’ father for anyone not knowing Greek mythology) from his underworld prison to regain power. The problem is that Kronos intends to destroy the world. Perseus doesn’t want anything to do with the Greek gods’ problems but reluctantly gets involved after a two-headed chimera escapes from the underworld and attacks his village. Later he learns that Zeus has been captured by Hades and Aries and that his power is being drained to empower Kronos. 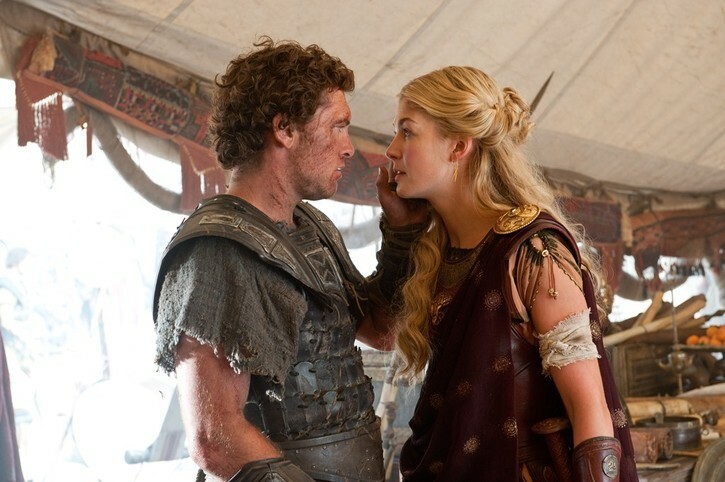 Thus, the demigod joins forces with Queen Andromeda (Rosamund Pike), another demigod Agenor (Toby Kebbell) and the god Hephaestus (Bill Nighy) to find an entrance to the underworld, free Zeus and defeat Kronos. This film has non-stop action and special effects sequences. Most of it was good, but one thing that was different from the first film is that more emphasis is placed on the gods themselves, which is a good thing since Neeson and Fiennes work well together and make convincing gods. Another point is that there are less monsters featured in this film but they were nonetheless amazing. The most impressive ones being Kronos, the chimera and a family of giant Cyclops. In fact, the Cyclops were so well done it was a shame they weren’t used more in the film. Worthington again does a decent job as the reluctant warrior forced to save the world. Many characters were more memorable than those in Clash Of The Titans and added flavor this mythological world, especially Agenor and Hephaestus, who both provided some comedic relief. The film has its drawbacks, it races from plot point to plot point with action scenes holding them together resulting in character development being sacrificed. While Zeus and the other gods get more screen time other characters like the flying horse Pegasus and Hephaestus only have extended cameos. But director Jonathan Liebesman does his usual competent job in presenting an entertaining film. Overall, while Wrath Of The Titans isn’t in the same league as Lord Of The Rings or Harry Potter it is a worthwhile diversion on a Saturday night. Regarding the post-converted 3D, it actually was much better done than the original and not as headache-inducing. It may not be genuine 3D but if you have the extra cash go ahead and splurge on the 3D version of this film.